Are you an online shopping fanatic? Well, if you are, did you know that Chrome might just be the best browser for you to go Window shopping on? The simple reason behind this is that Chrome has tons of powerful extensions, that could help you get the best deals online. They range from extensions that help you look for coupons online, to extensions that compare price fluctuations across time, notifying you of price drops so that you snag up the best deals humanly possible. So without further ado, let us take you through 5 of the best extensions we leave on whenever we hop onto Amazon or Ebay. 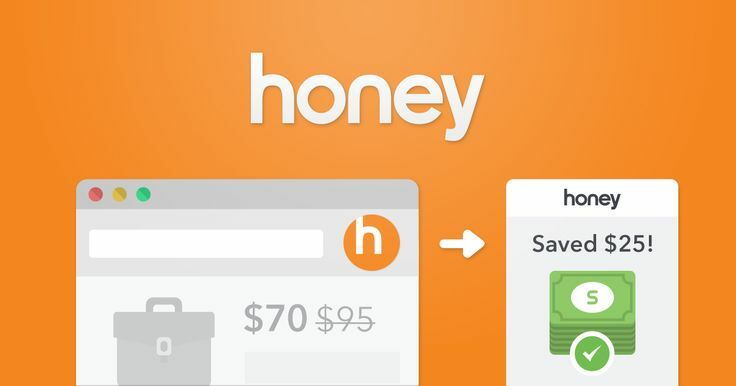 Arguably one of the best Chrome extensions for money-savers, Honey will help you look for applicable coupons and automatically apply them to what you are buying by filling in the recommended coupon code for you. As such, you don’t have to worry if there’s a coupon you should be using, but you’re not. What’s more, there are some partner stores that Honey has linked up with, such as Walmart and Ebay, so if you spend at these stores, you will also earn HoneyGold, these points can be redeemed for gift cards or real money. This nifty extension not only find coupon codes for you like Honey, but also helps you compare between online retailers to get you your best deal possible. Whilst you are out online shopping, the extension scans the websites of over 21,000 retailers and will show you the better deals you’ve not yet caught. Combining Honey and Pricescout will turn your Chrome browser into a supercharged shopping powerhouse. Not only should you compare prices across shops, but across timings as well. An experienced shopper knows that certain time of the day or week and even month might give you a better deal. The Camelizer is one useful extension that reveals to you the price history of an item you’re looking at on Amazon so you know whether to buy it now, or wait awhile later. It will also notify you price drop alerts through email so you snag up the deal ASAP. Mainly built for travellers in mind, InvisibleHand is an extension that’s all about grabbing the best deals on flights, hotels and rental cars. However, normal users can also utilise it to find the best price for miscellaneous items you buy online. The largest online retail store is without a doubt, Amazon. If you love shopping from this e-commerce powerhouse, then this extension is built specifically for you. The Amazon Assistant for Chrome is the official browser extension for Amazon What can it do for you? Pretty much everything. It gives you the Deal of the Day in addition to offering product and price comparisons and further saves products from any website (not only Amazon) to your wish list. its just awesome you will love it..